That is axiomatic but, seeing the news, it appears the people we put in charge of our world are not protecting it the way they should. Often, when one puts the words ‘politics’ and ‘music’ together; they are met with a scrunched-up face and derision. There have been attempts, by musicians, to articulate a sense of outrage and disgust through their music. I wonder, in the past couple of decades, how successful and influential their efforts have been. I am reminded of classic Folk artists of the 1960s – such as Bob Dylan – who, despite claiming not to write political messages, seemed to represent a fear and trepidation that was percolating in the masses. Back in the 1960s; the world was faced with war and corruption: political scandal and financial burdens were affecting so many people in society. Given the spirit of rebellion and love-based antithesis movement that reached its apex in 1967 – people were fighting against war and poverty through peaceful means. That is not something possible in today’s world. Musicians back then, like The Beatles and Love, were releasing sensational around this time. Both of these records (Sgt. Pepper’s Lonely Hearts Club Band and Forever Changes) seemed to project a feeling of freedom and togetherness. I am casting my mind to see how many albums around the time specifically dealt a blow to the leaders of the free world. The Velvet Underground released The Velvet Underground & Nico but their themes were more aimed at drug use, sexual liberation and experimentation – little time expended tackling societal issues. It has long been the case few artists have immersed themselves in a political mindset. There is a danger of being judged and seen as sallow. If the messages don’t compel people to take to the streets then what is the point? I do wonder whether Bob Dylan, despite his assertions, was writing deliberately political songs. One cannot listen to an album like The Freewheelin’ Bob Dylan or The Times They Are a-Changin’ (1963 and 1964, respectively) and feel there is not a political edge – the former’s best tracks, Blowin’ in the Wind and A Hard Rain’s a-Gonna Fall feel apocalyptic and prescient in their urgency and wisdom. Maybe Dylan did not want to be labelled a protest singer. There are a lot of artists that have written political songs but that number is becoming fewer with every passing year. Is it, in a time where the mainstream is becoming more pronounced and less world-aware, a danger writing a political song? Prophets of Rage unleash their eponymous album later this month. You can bet they aren’t going to be talking about kittens and yarn; getting their heart broken or cleaning the dishes. 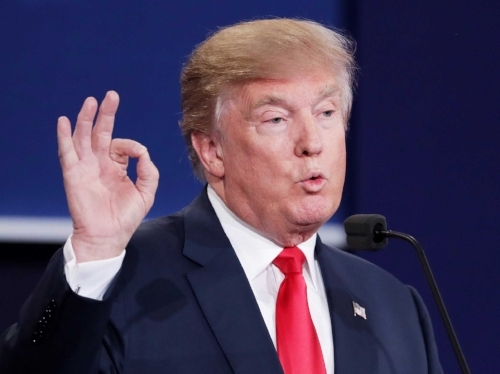 The U.S. giants will be sticking it to President Trump and turning the volume wwwaayyyyy up! I cannot wait to see how Chuck D, Tom Morello and company are going to represent the feeling of malaise and division in the U.S. I recently saw quotes from Eminem’s stunning sets at Reading and Leeds – he ensured the performances could not be streamed to anyone for free – and the vitriol he aimed at Trump. He got everyone in attendance to shout “Fu*k Trump” with as much gusto as they could. With this anger and energy running wild: his set was one of the finest of his career. I feel more musicians should be unafraid to speak out against leaders. It is not treasonous or worthy of backlash if you are honest. I did not vote to leave the E.U. nor did I vote-in the Conservatives – I feel justified in having my say about how they’re running the nation. I will come to look at our nation soon but, before then, the U.S. and the way they can weaponise their lyrical talents right at the groin (if there is one) of Trump. Eminem, in my mind, is among a small group of artists unafraid to tell it how it is. Hip-Hop elite like Kendrick Lamar, on albums like To Pimp a Butterfly, talk about racial tensions and gun violence in the country. In fact; a lot of black Americans have vocalised how they are discriminated against – the government lets it happen without batting an eyelid. Even Hip-Hop is expended little time talking about what is happening in the White House – a building whose name, post-Obama, has become ironic and very literal. The U.S. is, under Trump, becoming a place of opportunity and freedom: if you are white and a Republican. Any sensible resident of the nation is being short-changed and shafted. I do not know whether Trump will be impeached – or die of a very painful rectal disease – but there are many, atheists like me, praying there is a vengeful God in the sky. In any case; there needs to be a more pronounced and visible show of protest. Consider the past few months and the catalogue of atrocities Trump has allowed to happen. We all remember the terrible carnage that took place in Charlottesville a matter of weeks ago. One woman died and many were injured when the far-right let their (vile) voices ring out. It led to widespread disgust and provoked condemnation across the world. Normal, rational leaders, would have reacted immediately: Obama would have been on the news offering his sympathies with those affected; toil and scorn at those callous enough to create such an environment. He would have been quick and ruthless in his retaliation. The same goes when one processes something as devastating as the flood we have been seeing – Houston especially affected. It has been distressing seeing the images and loss reeked by the terrible floods there. Many are still struggling to piece it together – the damage will endure for an awful long time. It is not good enough to acknowledge it has occurred and say nothing about it. When the rain/storms first struck; the people of the country were more vocal and visible than Trump. It was only a few days after the event he actually did anything at all. It is clear President Trump is someone seemingly unconnected with humanity and unaware of the plight of his people. God knows who elected him but many must be regretting their decisions. What does an American do when faced with this kind of separation and destruction? The fact there is a lot of hatred means, if they are going to respond through song, they need to tread carefully. One could easily undercut their good intentions by penning something crass and needlessly offensive. I mention Eminem because he is an artist who, yes, causes offence but is able to sublimely voice what many are feeling. His charged and scintillating U.K. performances show we here are with him and responding to what he putting out there. I hope there is a new Eminem album because it seems like now is a perfect time to react. I know Rage Against the Machine are readying their album. How many other musicians are writing songs that protest against the current political order?! Either there is a lack of willing or a consensus of fear that is holding back their inner-most anger. I am not suggesting a Band Aid-style single but something from a range of American artists wouldn’t go amiss. It does not need to be an accusatory and vilifying song. A charity song, to raise money for the Houston victims or those caught up in Charlottesville, would be a positive step. It could bring together artists from various genres/time periods that would show a rare unity and togetherness. There are divisions and compartments in music: breaking this down, for a song/album, would be a great concept. I would still like to see great political creativity and fire from U.S. artists. Whether Eminem is releasing a record soon remains to be seen. I look around U.S. music and feel their mainstream – artists like Katy Perry, Taylor Swift and their ilk – are not unqualified to change their voices. Maybe there is a commercial risk inherent if they decide to sing about politics. I know they feel the pain of their people and are eager to ensure as few tragedies occur as possible. Music is a powerful medium and one that should allow its artists to have freedom of speech. There is such a rigid set of rules for mainstream artists. They are tied into contracts and expected to create music of a certain manner. I guess, when you have created an identity over the years, you have more flexibility. I have mentioned Kendrick Lamar but Beyoncé is someone who sings about racial tensions and injustices. She speaks of empowerment and females being heard. I suspect, whether she is off musical maternity leave or not, there are ideas and articulations that need venting. 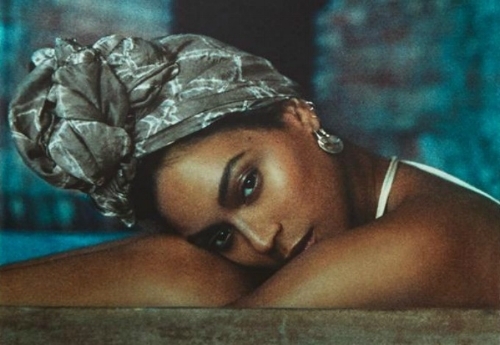 Whether she will return with an album as intense and of-the-moment as Lemonade – or favour a more reflective album that addresses her new twins, I am not sure. There are fantastic artists in America living in a nation run by a bumbling buffoon. He is a businessman and, as such, has little empathy and responsibility in regards the people and humanity – there are conscientious business leaders but few that we hear about. I am not proposing a revolution but I often feel, the same as has been seen with great uprising and progress, the smallest ripples can lead to huge waves. If some of the biggest artists took the gamble – maybe, getting odd remarks from small-minded fans – and spoke out against what is happening, through the medium of music, then that would create a huge impact. The more people who speak out against corrupt and hopeless leaders – in all industries – that will, in turn, reflect with the American people who will, in turn, apply pressure on Trump. He cannot assume everyone is happy with him and who knows: if music’s finest start a campaign; it could have the potential to bring about real change. I wanted to end the piece by looking at the situation in Britain. We have had to ensure our fair share of tragedy this year. There have been some muted, half-baked attempts at a political protest from British music – nothing that truly summarises and distils the sense of confusion and betrayal a lot of people feel. We have much to chew over and speak about. There is the ongoing Brexit debacle. We have the (still raw) tragedy at Grenfell Tower. Against that, there has been terrorism and growing radicalisation. 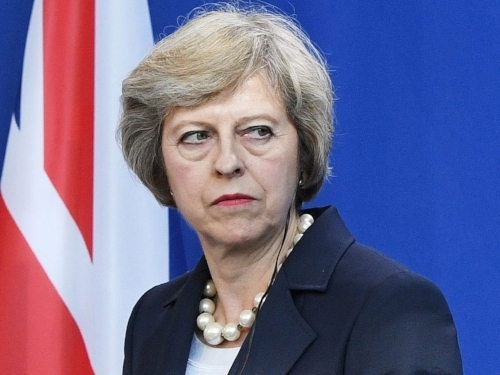 With all this in mind, like Trump, one would expect P.M. Theresa May and Foreign Secretary Boris Johnson to take a more proactive and quick-time approach to these concerns. The fact there is a backseat rebellion shaping-up in the Conservative camp suggests there will be upheaval very soon – one can only hope a coup allows Labour to swing in and gain the reins of power. Our government took a distressingly long time to say anything about Grenfell. May did not even get out among the people until after the Queen had. The head of our monarchy was more motivated than our P.M. to see if the people will alright and assess the extent of the damage. Rightfully, there was outcry and derision from all sides of the political spectrum. That sort of pacificity and cold inhumanity has no place in any democratic society. Again; I feel like those who elected the Conservatives into power need to take a hard look at themselves – not quite working out the way they’d hoped, huh?! I am not going to jab and judge those who made bad voting decisions – life will do that, trust me – but wondered why, when we can see such lacking leadership, is it down to the people solely to react?! Musicians should not be fearful of reprisals or any sort of negativity if they decide to pen a political song. There have been charity events set up to raise funds for the Grenfell victims; a charity song was recorded but, most certainly, was not political or angry at all. Aggression is, when properly channelled, a very useful weapon that can bring about actual change. Let me leave this with a look at this year’s best music; a quick glance at the past and whether we have made any strides. I mentioned the 1960s because, to me, that was the last time there was an effective political movement in music. Perhaps I am over-romanticising how things were and whether artists like Bob Dylan were true protest singers. Now, music is more accessible and visible than any other time. There are so many artists out there: it would be good were more to break away from the obvious and commercial and let some fire out of the belly. A protest/political song does not need to be foul-mouthed or aggressive. It can be articulate and calm but still possess the same degree or dissent and outrage. Maybe, as I type, there are those going into the studio to record a great political song. ALL is not happy in the democratic world.